Getting the first glimpse at your baby in an ultrasound is a magical experience for any parent, but it's a gift that many blind people haven't been able to experience... Until now. 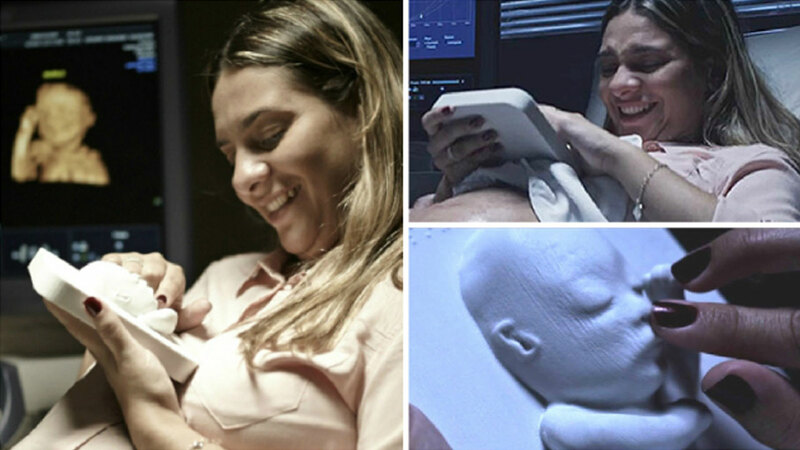 Huggies Brazil produced this video of a blind mother-to-be touching her baby's face for the first time, even though the child is still in the womb. Tatiana Guerra, 30, has been blind for nearly half her life, and now experiences the world through touch, according to WRIC-TV. "If you could touch him," Guerra's doctor asks, "would that let you know what he's like?" Guerra says yes, and is able to experience her child in a way that would have been impossible until birth, before 3D printing.